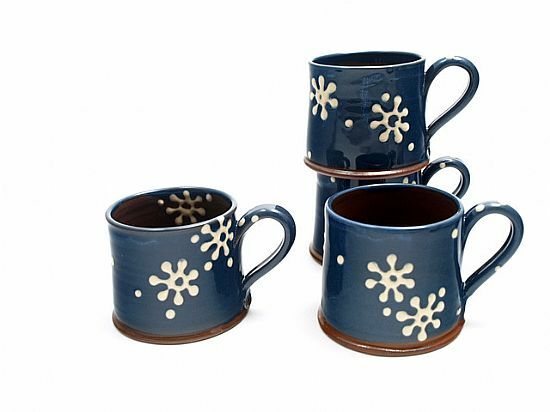 Order mugs with your names or messages - for special occasions or everyday use. 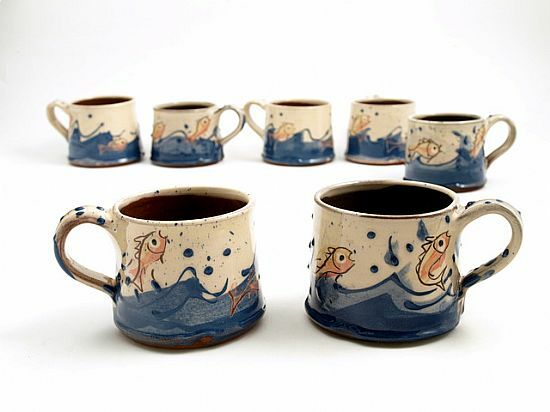 A very old practical joke dating back to 17th Century English slipware. 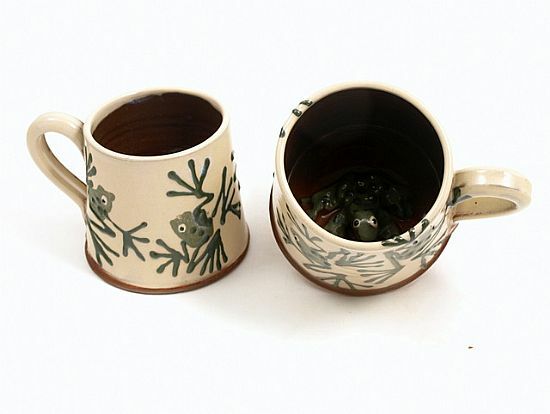 Hand modelled 3D frog sits in the bottom of the mug. 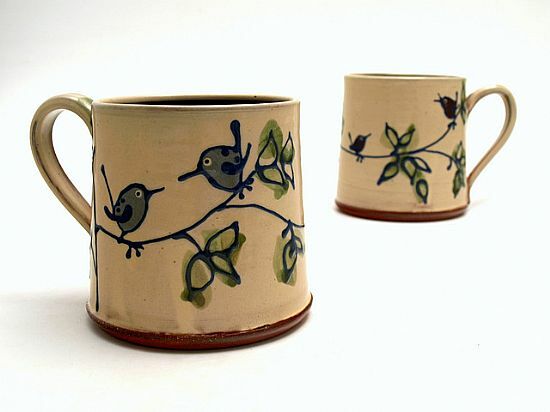 8cm high approx, 300ml. 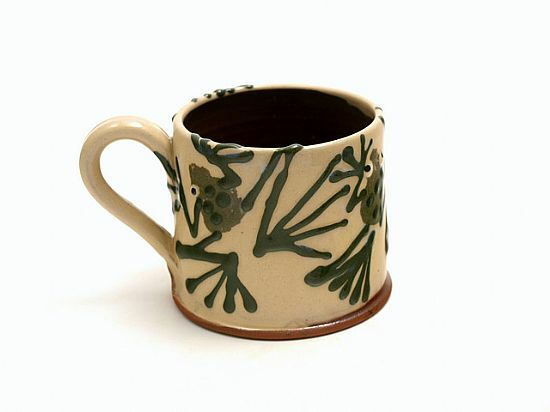 Small straight mug with sliptrailed frog design on outside. 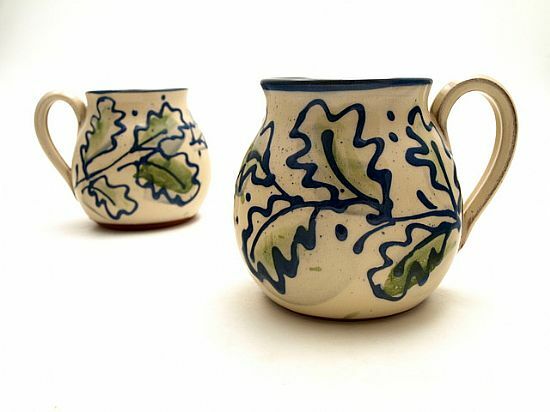 About 7cm tall (250ml)Also available in medium and large sizes. 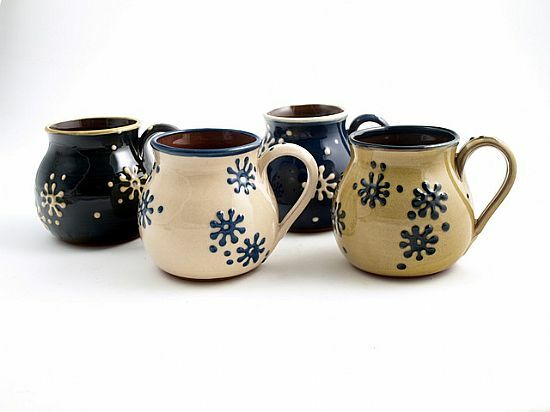 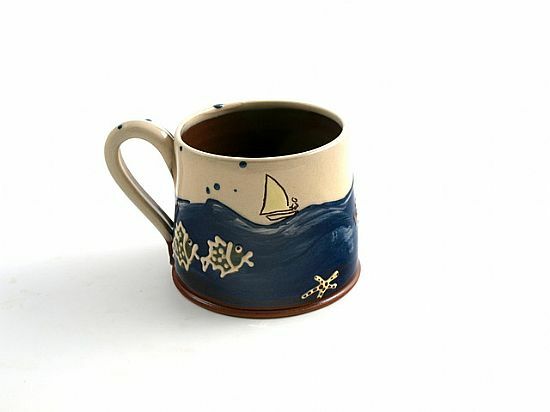 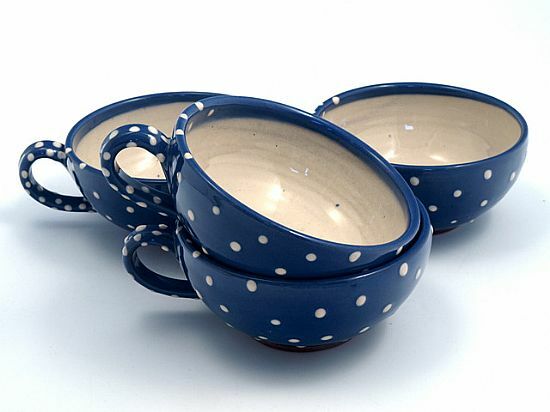 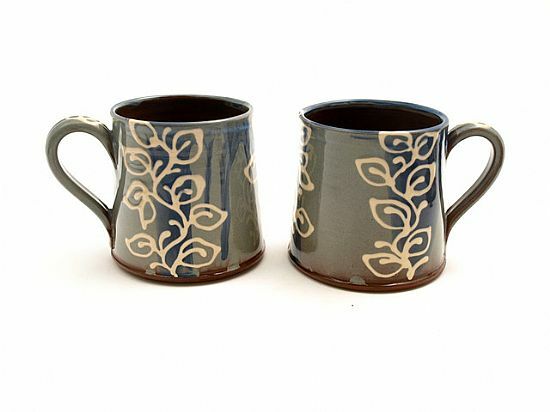 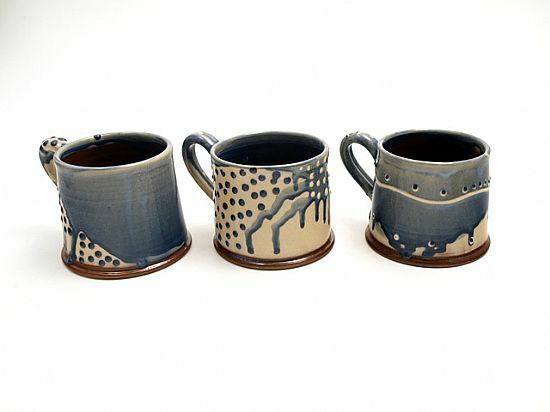 Small (250ml) straight mugs with a poured and sliptrailed design. 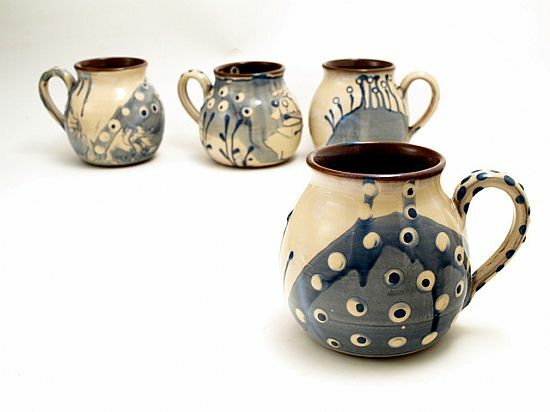 Everyone is different! 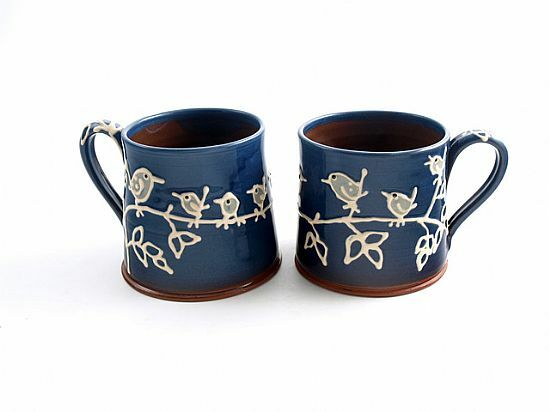 Large (400ml) belly doodle mugs decorated by quick dipping in two colours of slip with sliptrailed embellishments to the pattern.